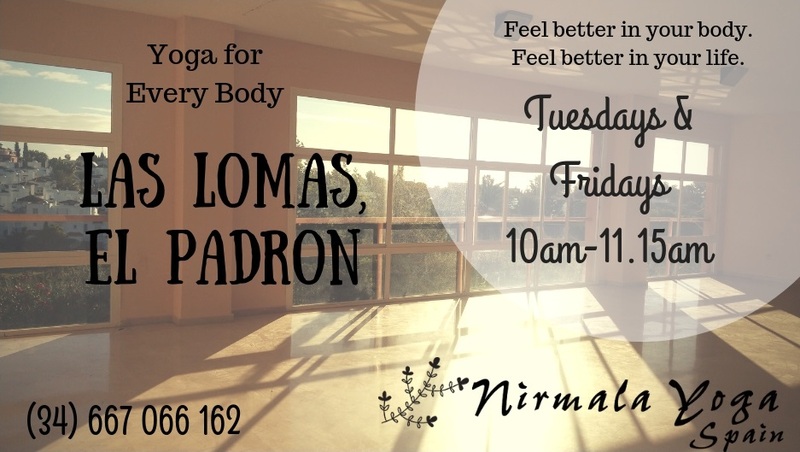 Based in Vinyasa Flow, which is Linking Breath-to-Movement and Movement-to-Movement, classes are open to all levels. 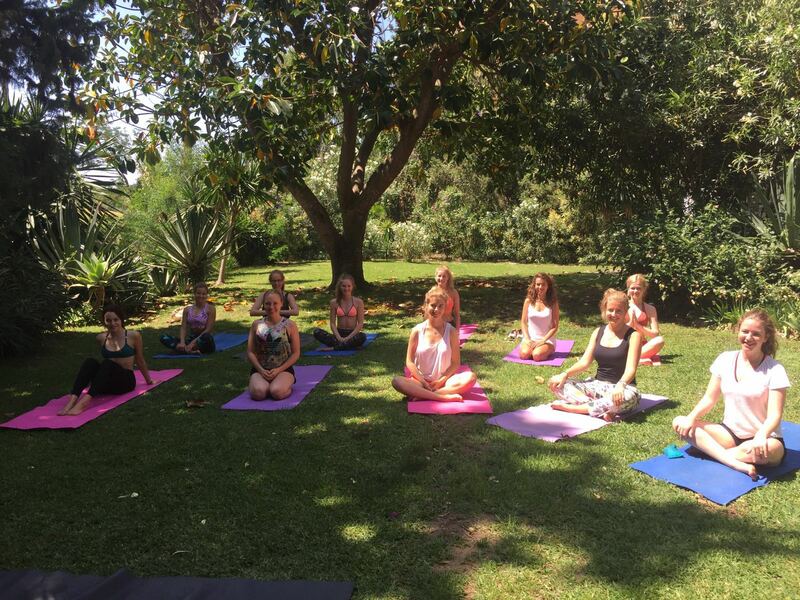 With various options to suit different abilities – and your individual needs that day – sessions tap into classical Hatha Yoga, Iyengar, Power yoga, Yin and Restorative Yoga – amongst others – and always end with a deep relaxation. Tailor-made sessions to enhance your Holiday. 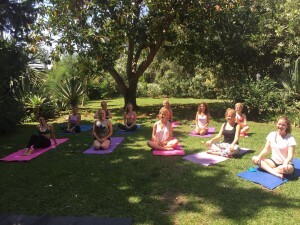 Collaborate on your Spanish Retreat. 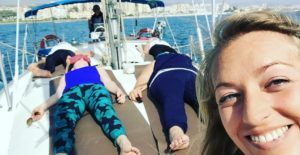 Chartered Sailing & Yoga Trips. 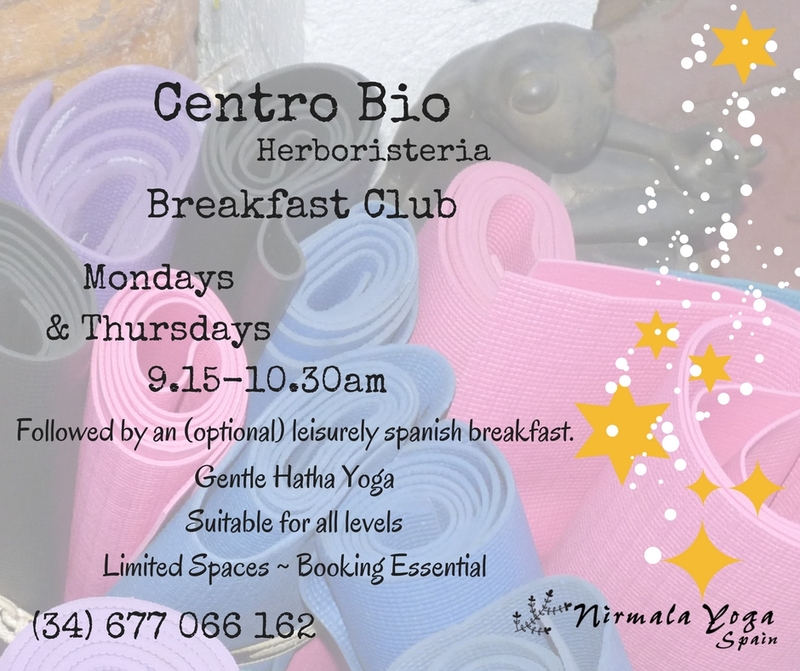 If you’re new to yoga, coming back after a break or like a gentler class working on building strong foundations and alignment, the Breakfast Club classes at Centro Bio are perfect. 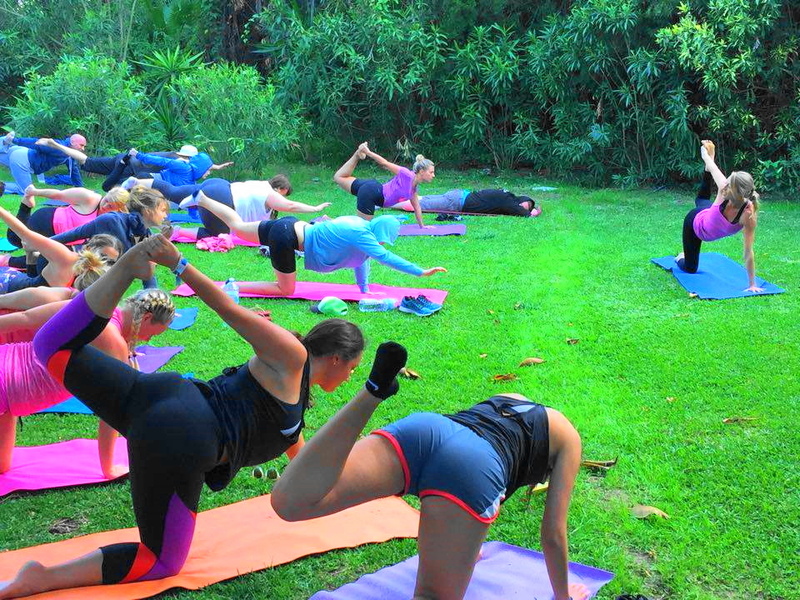 Limited spaces means more personal attention as well as nurturing a very cosy community of down-to-earth yogis. 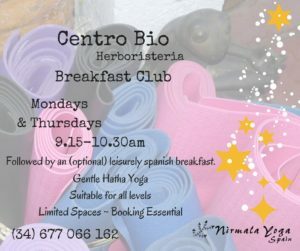 Our optional, informal “satsang” takes place afterwards in a nearby Spanish cafe (where, yes, they do have with soy milk – hurrah!). CLASSES ARE IN ENGLISH & SPANISH. 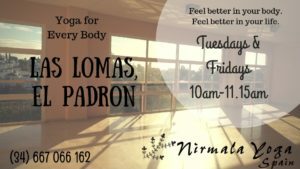 If you need to relax or want to get fit, enjoy a flowing class or are working towards a specific pose, Las Lomas classes have a variety of options at every level to make sure you can make the most of your practice time. Learning about the Yoga Sutras and how we can apply them to our lives as we journey towards arm balances and inversions, not caring if we ever make it or not! (This idea of not concerning ourselves with the outcome is called Santosha – one of the Yoga Sutras we learn about- and can be simply translated as “contentment for what is”.) 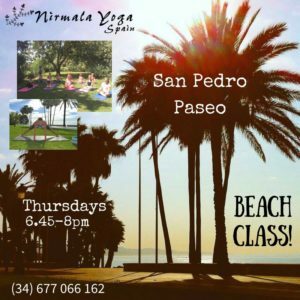 CLASSES ARE IN ENGLISH & SPANISH. 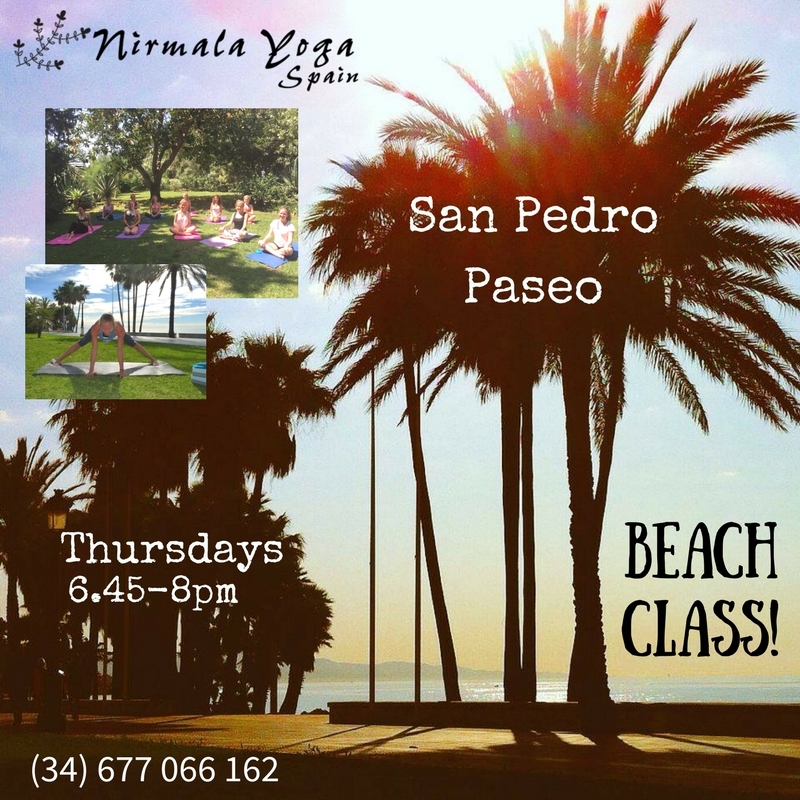 San Pedro Paseo Beach Classes will be back next year! They are open to everyone. 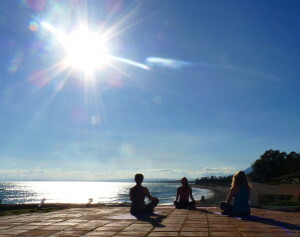 Get in touch with nature whilst practising yoga to the sound of the waves under the open sky. 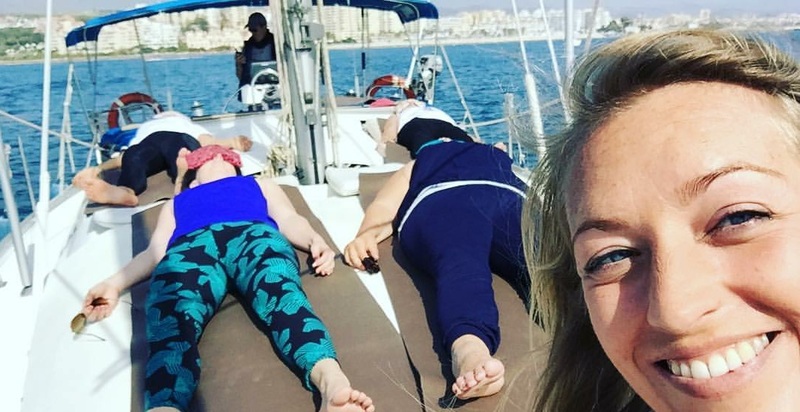 Click here to read more about why being beside the sea is so good for you!